Sustained opportunities for nutrition governance project aims to to improve maternal and child nutrition. This is five year long project lead by ICCO Cooperation along with consortia Max Foundation, BoP Inc and RDRS funded by European Union. 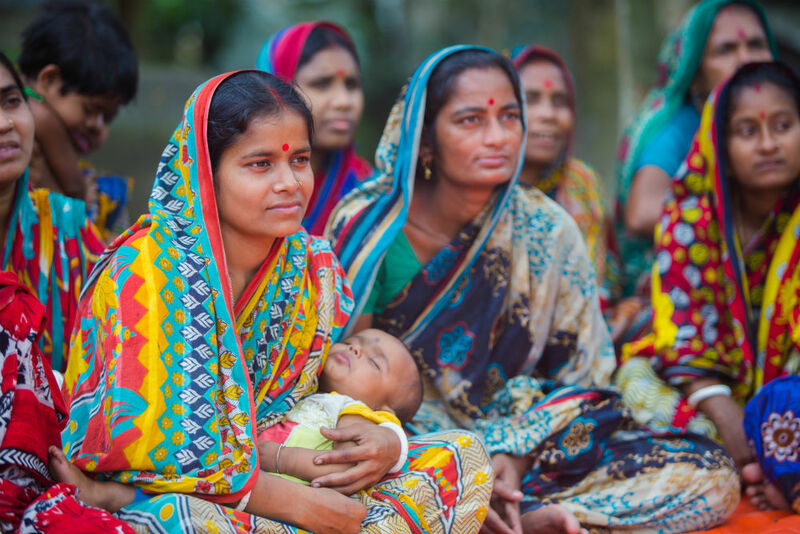 Project will implement in 18 unions in 3 UPZs in Kurigram District and 3 UPZs in Gaibandha District, Rangpur Division with direct beneficiaries of 112,000 households particularly women and children (CU2). While availability and accessibility of nutritious and safe food at HH level is a precondition for improved nutrition it does not automatically lead to improved nutrition among all HH members. Lack of nutrition, health and WASH related knowledge, attitudes and practices as well as intra-HH dynamics often impede nutrition improvement. Evidence has also shown that the extent to which women have access to and control over productive resources, time, knowledge and social support networks largely determine their own nutritional status and the kind of care they provide for their children and for the rest of the HH. The nutritional status of a woman before and during pregnancy has a direct impact on the development and nutritional status of her baby. Malnutrition increases the risk of low birth weight and undernutrition during infancy. To address child undernutrition fully, the Action will employ nutrition-specific as well as nutrition-sensitive interventions through a life-cycle approach to deliver the right services and messages to the right person at the right time. The implementation will incorporate a Social and Behavior Change (SBC) strategy, using multiple approaches, ranging from interpersonal communication (such as counselling by health workers) to mass media (such as radio campaigns). The approach is based on proven and evolving experiences taking into account the importance of pre-conditions to address e.g. dimensions of availability and access to food as well as the required synergy between interventions and actors at various levels. Interventions will focus on mobilizing and coaching target groups as well as local public, private and development actors to collectively take the necessary actions towards improved nutrition. 112,000 Households (HHs): 95,000 adult women of reproductive age (85% of HHs); All 53,000 children under 5 (CU5) with special focus for the 25,000 under 2 (CU2); 100% (80,000) of adolescent girls and boys (age group 10-19); All 90,000 male adults permanently residing in the target area; 45,000 of the poor and extreme poor HHs. he providers of goods and services (public and private sector). Indirect beneficiaries include people living in the surrounding areas also having access to improved markets and services. Sustainability after completion of the Action: Regarding the sustainability of the action, four types are identified that are expected to contribute to improved maternal and child nutrition, enhanced livelihoods and increased resilience. Financial sustainability will be addressed in all three sectors. For the private sector, viable business models will be created based on products attractive for the target group. The women in distribution networks (NSAs) will earn enough income to continue their businesses. The Action aims to minimize additional financial burden on the GoB by working within existing structures as much as possible. Transparency will be increased to ensure other stakeholders can hold GoB accountable. Civil society and the communities will be self-supported and have a basic income that will allow them to fulfill basic needs. They will also have access to government budgeting processes, like the Open Budget Sessions at the UP-level, and to influence expenditure locally. The GoB social security network for the extreme poor is expected to continue. Institutional sustainability: Enhanced governance structures will be embedded in existed committees on different local administrative levels. The private sector and civil society will closely collaborate with these committees. Collaboration within the Action will highlight the win-win situations created from multi-sectoral collaboration. Civil society structures are organized and well-functioning and build mostly on existing community organisations. The sustainability will be ensured by the fact that these social institutions have strong community embeddedness and ownership stressed from the on-start. After phasing out of SONGO, these organisations have the capacity to hold the government authorities accountable for services that have to be provided and are capable of accessing budget available for the poorest groups in their community. Monitoring and horizontal learning of the initiative, in collaboration with the Horizontal Learning Programme for the UPs, will support scaling-up on institutional level beyond the target area. On the side of the service providers, the interventions relating to capacity building of the local government and private sector on local inclusive planning, socio-economic rights, and resource mobilization will ensure incorporation of their views and knowledge in local plans and thus institutionalization of non-discriminatory practices in development planning. Policy level sustainability: The Action will not introduce new policies, but build on existing ones and contribute towards their effectiveness. SONGO will catalyze the institutionalisation of the UNCC and ensure that the UNCC is supported by other strengthened local government institutions and line departments. The UNCC can be formalised and learning is fed back into the national process for replication in other upazilas and unions. There is civic engagement by community organisations (e.g. Federations), VDCs and ICCOâ€™s Civic Engagement Alliance (CEA) program. These groups are aware of the existing policies and can use them for nutrition-related advocacy on Union and Upazila level. The Action will create an opportunity for the targeted communities to contribute to the local governmentâ€™s plans and policies and the possibility of institutionalizing them. The process of participatory development plans that directly listens to the voices of marginalized people, can establish the practice of giving sufficient space to these people. Environmental sustainability: Climate change and related natural disasters form one of the biggest risks for gains made against malnutrition. To limit this risk, the Disaster Management Committees (at Upazila and Union level) are made aware of activities around food & nutrition, health and WASH, and involved in mitigation strategies for when floods happen. Resilient agricultural practices will form the backbone of these strategies and support individual HHs.